Our current Board of Directors consists of local community/business leaders. The Board is looking to increase funding, recruit volunteers, and improve the quality of life for all L’Arche Boston North residents. Mr. Kennedy recently retired from his role as the Senior Vice President/Chief Financial Officer (CFO) at Georgetown Bank, Georgetown Massachusetts, where he worked for the past 17 years. 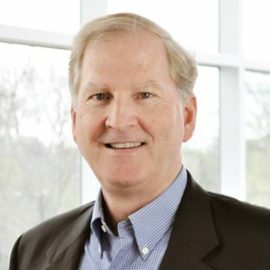 He has been in the banking industry north of Boston for over 29 years, with more than 27 years of experience as a CFO. 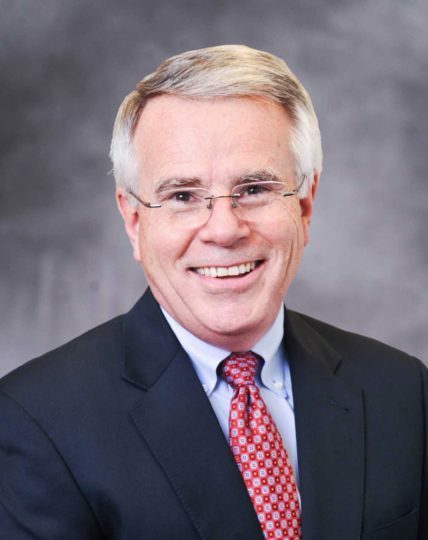 He holds a B. S. in Accountancy from Bentley University and is a graduate of the National School of Banking, Fairfield, Connecticut. Mr. Kennedy has lived in Haverhill since 1986 and he and his wife Laurie have three sons. Chief Program Officer, The Guild for Human Service Maureen Costello-Shea is the Chief Residential Officer at The Guild for Human Services in Concord, MA where she oversees the school-aged residential program, the adult residential program and the health services department. Prior to joining The Guild Maureen was Vice President of Berkshire Advisors Inc., a management consulting firm serving public sector and non-profit organizations. She has extensive experience as a consultant to scores of government agencies including school districts, developmental disabilities agencies and police and fire departments across the country. 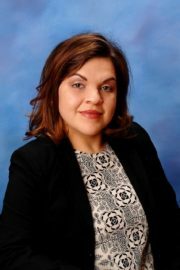 Ms. Costello-Shea has also worked extensively with local public and private schools, residential and work providers for adults with disabilities and families to develop comprehensive, inclusive wrap-around services for individuals with disabilities. She also provides educational evaluation, behavioral consultation, and training in inclusion of students with behavioral challenges and autism and in curriculum modification to serve the needs of gifted students. Her involvement with Irenicon began in 1995 as a consultant providing behavioral support to core members and training to assistants. She assisted with transition planning when a portion of the Irenicon community relocated from Ipswich to Haverhill and during residential restructuring. Ms. Costello-Shea has extensive experience as a manager in the Massachusetts Department of Mental Retardation. In 1994, she received the D.M.R. Pride in Performance Award and the Commissioner’s Award for her work on the J.T. Berry Rehabilitation Center Transition Team. 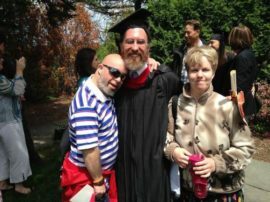 She has taught on the faculty at Simmons College, teaching graduate level courses in the Special Education Department and supervising graduate level student teachers. Ms. Costello-Shea received a Bachelors of Arts in Elementary Education and Special Education from Simmons College and a Masters of Education with high honors from the University of Vermont, Center for Developmental Disabilities. A resident of Raymond, New Hampshire she is married to Dan Shea, who works for Cardinal Health and has two adult children- Joanne and Timothy who reside in New York City. She serves as guardian of two individuals with developmental disabilities. Will Oliver, Secretary,Treasurer, Board of Directors Will has been working to improve businesses for over 25 years. He has f ounded four successful business, invested as part of a global venture capital firm and consulted with many types of healthcare and social services organizations. In addition, Will has been on five boards of directors before joining the ’Arche Boston North board: three private companies and two non-profits. In addition to building companies, Will is a college professor. He has taught business at Brandeis, Tufts and University of California, Irvine. When he is not working, Will volunteers with NEHSA, which provides adaptive skiing and kayaking opportunities. Eight years ago, Will and his wife, Heather started Stars, a community life group of families with special needs. Will and Heather live in Bedford and have three daughters, one with special needs. Mary Peters has been a friend of L’Arche for numerous years and a board member since 2014. Drawn by the culture of diversity within the L’Arche community, Mary believes the L’Arche Mission extends far beyond the walls of L’Arche Boston North and has expressed a feeling of privilege to be able to serve the community. Mary is currently an Employment Specialist with Vinfen, a nonprofit organization based in Cambridge, aiding clients with psychiatric disorders in finding competitive employment as part of their ongoing recovery. Mary’s previous roles include General Manager in the Pool & Spa industry and Sr. Events Specialist in the Biotech/Pharmaceutical sector. When not working, Mary enjoys spending time with family and friends, walking her English Shepherd, reading and music. 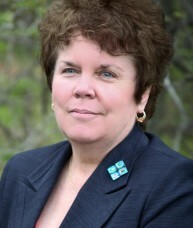 Mary holds an Associate’s Degree in Business Management from Northern Essex Community College. John Anton joined our community in April of 2013. 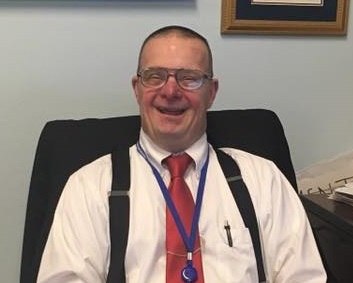 A lifelong resident of Haverhill, he currently serves as a legislative specialist with the Massachusetts Down Syndrome Congress (MSDC) in Burlington, MA. He is also a legislative intern at the State House in Boston. This position has also taken him to Washington, D.C. where he served as an intern for U.S. Congresswoman Cathy McMorris Rodgers, Chair of the House Republican Conference and co-chair of the Congressional Down Syndrome Caucus. John has advocated for the population of individuals with disabilities in many ways, including supporting and working toward the success of the Achieving a Better Life Experience (ABLE) Act, allowing people with disabilities to save and earn money like everyone else. In 2014 John, along with Vanessa Henry, represented our community at the L’Arche International Federation Council meeting in Lyon, France. When John isn’t working hard as an advocate, he enjoys spending time with friends, studying the Bible and watching pro-wrestling. John is very enthusiastic to be serving on our Board of Directors! Lois Klee, Secretary Lois Kle e grew up outside of Boston, got her BA from Connecticut Collegeand after marrying and resettling a few times returned to MA in 1990. She and her husband have five children and thirteen grandchildren, one born with Down Syndrome. A friend introduced her to L’Arche in 1998 with an invitation to join the Board. As its President, out of necessity Lois became the interim Community Leader. The community survivedwith dedicated support from other L’Arche community leaders throughout the USA. She was overwhelmed by the commitmentand solidarity she experienced from the other communities during Irenicon’s time of struggle. Among her most memorable opportunities was a 4- week retreat for English- speaking assistants of 10+ years held in Trosly, France with Jean Vanier. Thirty-two assistants from around the world spent two – 2 week sessions at La Ferme. Lois was awed by Jean and continues to be by those who have chosen to associate with L’Arche in all capacities. In her professional career she has interviewed personnel for companies, sold real estate, worked in supportive staff positions, co- chaired fundraisers and volunteeredfor other organizations but it is her L’Arche experience that she credits with discovering so many extraordinarymembers of humanity. Esther Alburquerque, Director Esther Batista-Alburquerque’s life has been marked by many challenges common among immigrant women, and countered by sacrifice, hard work, self-efficacy, and service to others. After earning her bachelor’s degree in 2013, she worked for the YWCA of Greater Lawrence, an organization whose mission is to eliminate racism and empower women. Fueled by her passion for women’s issues, she worked as a crisis counselor, assisting survivors of domestic and sexual violence. Later worked for the Women Health Advocacy Services program, linking medically vulnerable women to life-saving medical and cancer screening services, and was then promoted to Outreach Services Coordinator, educating and empowering women and individuals dealing with or caring for people living with chronic diseases. During her professional journey at the YWCA, she completed her Master’s Degree in Healthcare Management in 2016. Currently working at Lawrence Community Works as a Family Coaching Specialist helping parents of students of the Lawrence Public Schools to improve their financial stability. Esther is thrilled to be part of the L’ARCHE community because she believes we all have disabilities, we deserve to live a life with dignity, and respect. Individuals with any kind of disabilities deserve to receive inclusion and equity since we all are God’s creation. 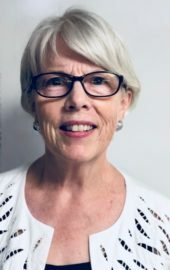 Lynette McCrae, Director Lynette joined the L’Arche Board in May 2018 after learning about L’Arche and its mission. Lynette has a son with a disability and has spent many years advocating for him and planning for his future. She is honored to bring this experience and knowledge with her to the board. 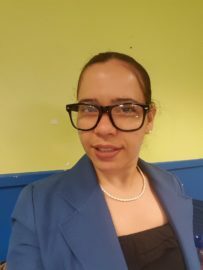 Lynette is a first-generation college graduate who obtained her Bachelor’s of Science from the University of Massachusetts Lowell in Business Administration. After working for a couple of years she realized that she was not done with her educational goals. She went back to school and obtained her Master’s degree in Management. She is still not sure that she has completed her educational goals but further studies will be something for the future as her main desire for the present is to spend as much time with her husband and three sons as possible.She currently works as an admissions counselor at Cambridge College and also serves as on the Board of the Lawrence Family Development Charter School.